TGIF! 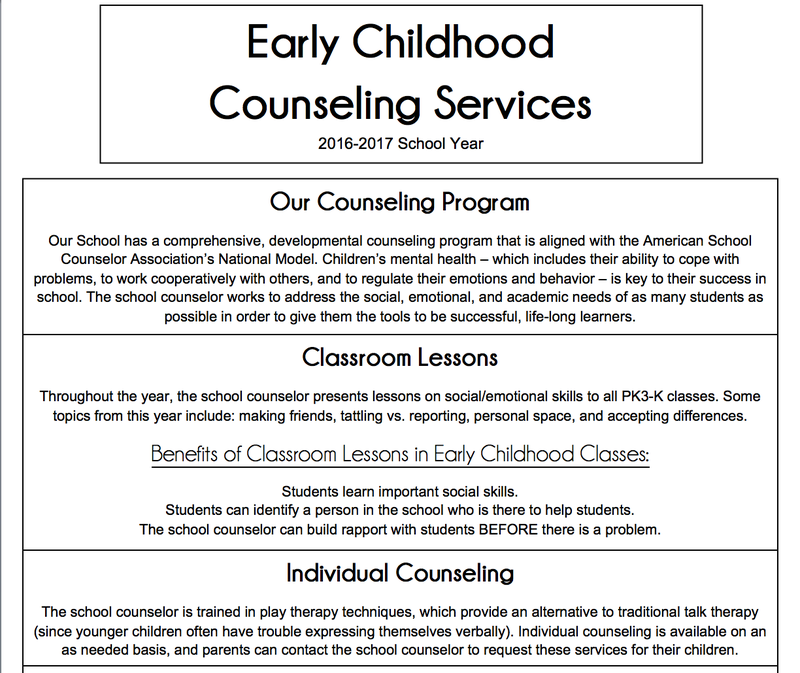 To celebrate the end of the week, I will be sharing with you a new way I am marketing my program to the parents at my school. If you’re interested in reading the other ways I market and advocate for my program, read my “Marketing Your Program & Advocating for Your Profession” post. As I’ve mentioned before, every year, my school has a “Back to School Night,” where parents come to school to meet the teachers and learn about class expectations for the year. 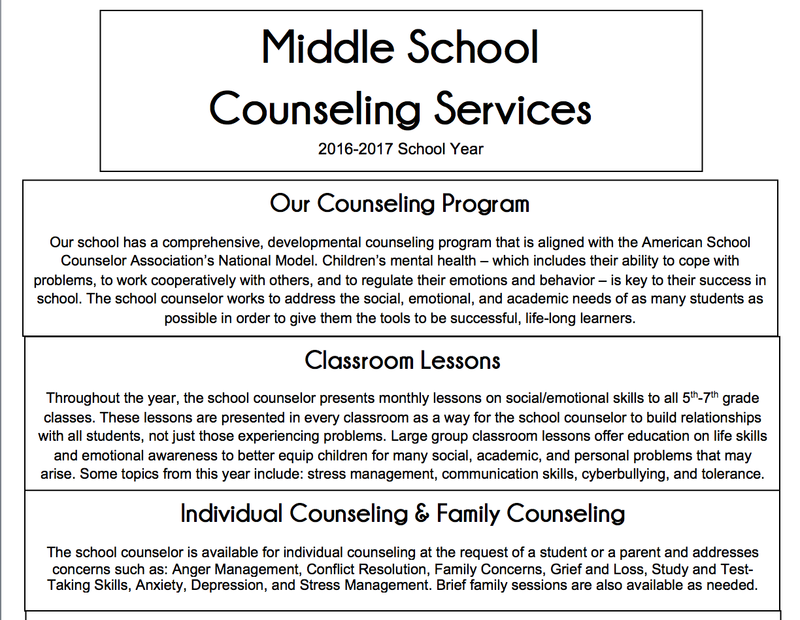 For last year’s Back to School Night, I distributed brochures about the counseling program, and the same brochure went out to the whole school. While this was a great way to get my message across, I wasn’t able to give as much detail as I wanted to because I was limited to one page for everything I do with the entire school. 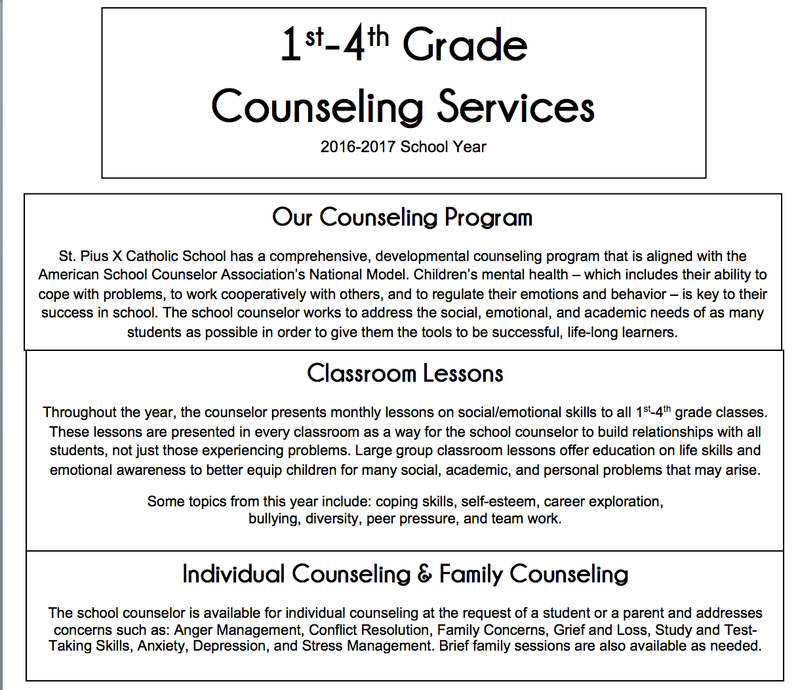 and 1 for Middle School (5th – 7th Grade). This allowed me to add more detail specific to the child of the parent reading the brochure. 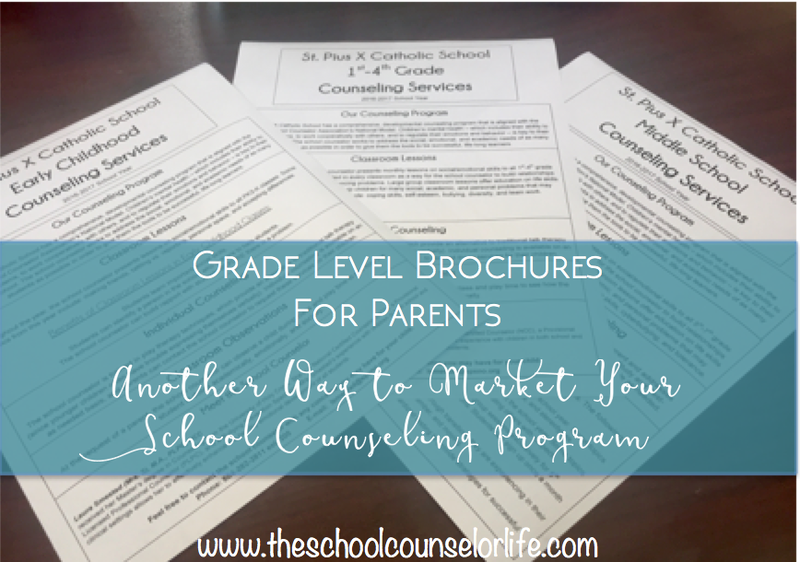 By dividing up my brochure by grade level, I was able to put so much more content that was all relevant to the parent reading it. I’ll probably be tweaking these before next year rolls around, but I’m happy with the what I’ve created so far. 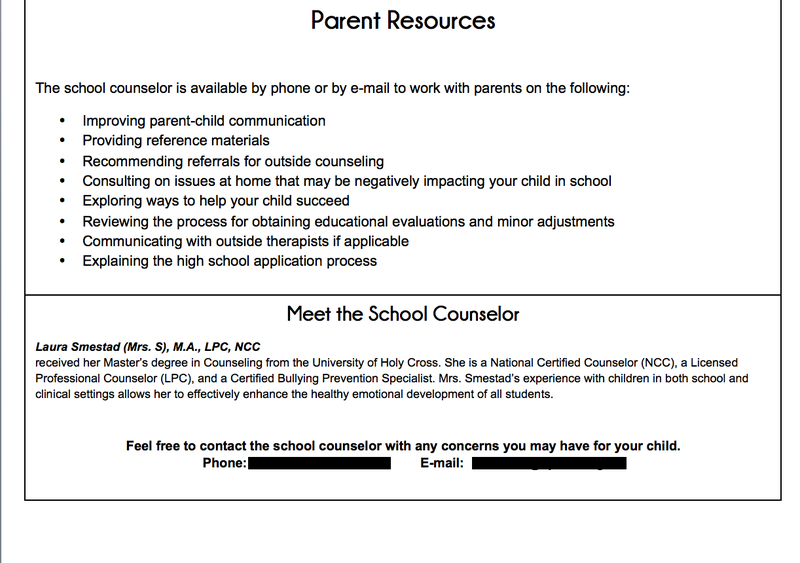 Comment below with how you market your school counseling program to parents!